Although Aesthetics and Beauty are typically aimed towards men, however, there has been a huge uptake with men getting treatments in recent years. This may be the increased transparency of both men and women getting treatments! If you or a partner are interested in getting treatments here a guide to what treatments work best! What Treatments Are Suitable For Men? Technically there’s no treatment that women get that men cannot, it may just be approached a different way. 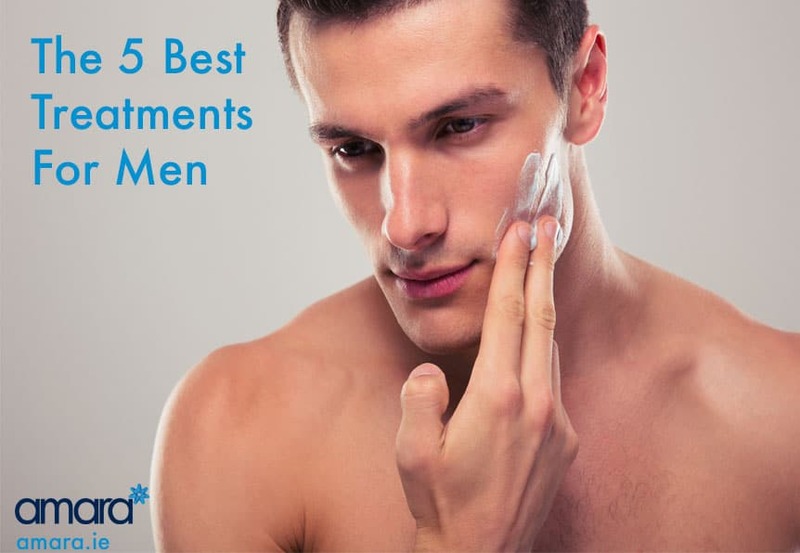 Here are the most popular treatments men typically get. “Just don’t call it a facial!” Though the name may mislead you the HydraFacialMD is no facial! The HydraFacialMD is a skin resurfacing treatment that improves skin tone and texture. This multistep treatment is customisable to your skin needs but the basic steps rarely change. Step 1: Cleanse & Exfoliate: Here dead skin cells are removed to help clear pores and bacteria. Step2: Acid Peel: The peel will be different depending on what your skin needs, typically a stronger peel is used on men’s skin as it is thicker. This helps to loosen dirt from the pores. Step 3: Extraction: Using the unique vortex fusion impurities are sucked out from your pores, manual extraction may also be done if needed. Step 4: Hydration: Here we add antioxidants and hyaluronic acid to nourish and moisturise the skin. This will keep the skin protected from elements. Step 5: LED Light Therapy: The final step of the treatment uses Blue and Red LED lights, these kill bacteria, help with redness, improve collagen, and strengthen skin. It’s recommended shaving the day before the treatment. On the day of your skin will be too sensitive and the treatment though fine with a light stubble cannot be done with a beard. Microneedling uses needles to puncture the skin and encourage it to renew itself and make it stronger. Men are more likely to suffer from Rosacea (typically on the nose) and collagen renewal will help strengthen the skin lessening the effects of Rosacea. 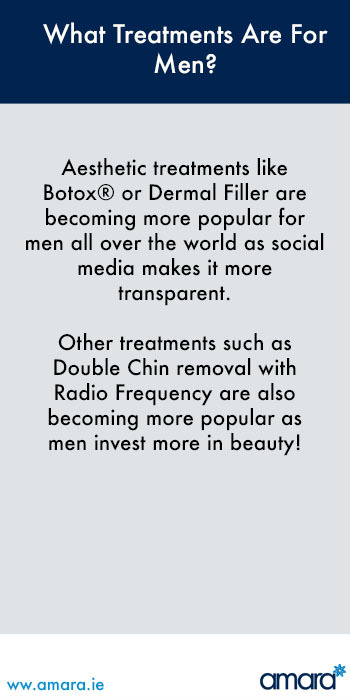 Botox® is definitely on the rise for men! There is a particular increase with those who have high-stress commission based jobs such as sales. Again there is very little difference between men’s and women’s treatments. Brow lifts, in particular, are popular with men to stop a heavy brow. Though it may not seem typical lip filler and cheek filler treatments are definitely on the rise with men! Using Radio Frequency and Ultrasound, heat is used to melt the fat and tighten the skin. Multiple treatments will be needed for this resulting in a tighter jawline. Have you been considering treatment but are unsure if they will work for you? Contact us to find out more!